CHINA on Tuesday took a step it had resisted during the global financial crisis: It openly devalued its currency to boost its economy. With this move, China explicitly joins other nations trying to capture economic activity outside their borders, and it is doing so as the global economy is struggling to generate sufficient growth. The decision therefore provides many signals about what ails China and the global economy, and has implications for financial markets. The Chinese government has been pressed for years to adopt a more flexible, market-based foreign-exchange system, notably by the United States. The International Monetary Fund made a similar point during recent deliberations over the yuan’s international status. But by heeding this advice now, China has done more than devalue its currency by almost 2%, the largest single-day move in two decades. By choosing this particular moment to alter its currency system, it is also attempting to respond — via foreign-exchange policy — to one of the biggest challenges facing the global economy — that of generating growth. For a time after the global financial crisis, the problem of creating and sustaining high-quality growth was contained primarily to advanced economies. But the more these countries failed to deal with this question, the greater the adverse spillovers for emerging economies. Now the latter are also struggling to generate sufficient growth. The longer countries fail to deliver domestically-driven growth, the more they will be tempted to “steal” it from others. A time-tested way of trying to do so is to devalue a national currency in an attempt to make exports more competitive and imports more expensive -- thus diverting both internal and external demand to domestic production, at the expense of foreign suppliers. By taking a step in this direction, China is now following a path that many other advanced and emerging economies have been attempting to take for some time (including the eurozone via the European Central Bank’s quantitative-easing programme). Indeed, China’s decision leaves the United States as the only systemically important country willing to accept the strengthening of its currency. But what may work for individual countries cannot work for the system as a whole; and that has implications for financial markets. The timing of China’s policy decision signals that one of the largest and most systemically important economies is no longer in a position to play its longstanding role as a locomotive of global growth. The tailwind China has provided other countries now risks becoming a headwind. Robust global economic activity is central to sustaining corporate revenue and profit; and it limits the ability of bad politics to contaminate good economics. China’s decision must also be a consideration in other important policy changes that influence markets, including the Federal Reserve’s intense deliberations on when to start its interest rate hiking cycle. The immediate consequence of the yuan’s move is the appreciation of the dollar’s trade-weighted exchange rate, which will be amplified as other currencies respond. And excessive dollar appreciation has been one of the concerns highlighted by the Federal Reserve as a possible counterpoint to the growing list of domestic reasons demands to increase US interest rates as early as September. There are other market implications, too. China’s policy decision has greatest direct impact on a segment — foreign exchange — that has a tendency to overshoot (that is, to move in volatile fashion to levels that exceed those warranted by fundamentals). This is true for emerging market currencies, especially those that lack a broad-enough base of dedicated investors. 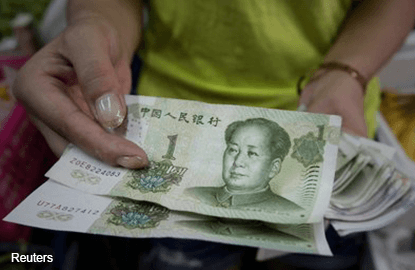 In time, China’s currency move will be viewed as an important step in the country’s multiyear journey towards a more efficient and responsive market-determined system. Mohamed El-Erian is the chief economic adviser at Allianz SE. This article first appeared in digitaledge Daily, on August 13, 2015.